In the modern era, if you want to talk with someone from a distance you use a cell phone or computer. Before cell phones and even before landlines, your best options were using semaphore, carrying messages by horse, and using Morse code. Not everyone had signal flags or a horse, but anyone could learn and use Morse code. Samuel F. B. Morse invented the code in the 1830s. He started work on the electric telegraph in 1832, ultimately leading to a patent in 1837. 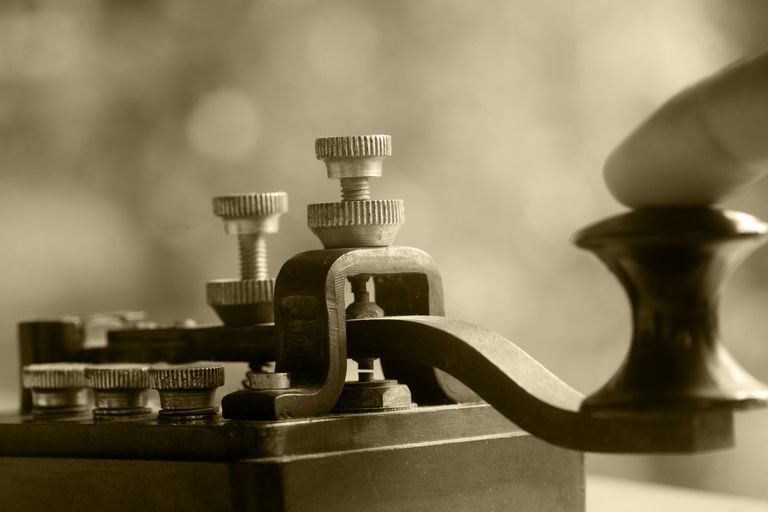 The telegraph revolutionized communication in the 19th century. While Morse code is not widely used today, it's still recognized. The U.S. Navy and Coast Guard still signal using Morse code. It's also found in amateur radio and aviation. Non-Directional (radio) Beacons (NDBs) and Very High Frequency (VHF) Omnidirectional Range (VOR) navigation still use Morse code. It's also an alternate means of communication for persons who can't speak or use their hands (e.g., paralysis or stroke victims may use eye blinks). Even if you have no real need to know the code, learning and using Morse code is fun. The first thing to know about Morse code is that it's not one single code. There are at least two forms of the language that survive to the present day. Initially, Morse code transmitted short and long signals that formed numbers that represented words. The "dots" and "dashes" of Morse code referred to the indentations made in paper to record the long and short signals. Because using numbers to code for letters required a dictionary, the code evolved to include letters and punctuation. Over time, the paper tape was replaced by operators who could decipher the code simply by listening to it. But, the code wasn't universal. Americans used American Morse Code. Europeans used Continental Morse code. In 1912, International Morse code was developed so people from different countries could understand each other's messages. Both American and International Morse code are still in use. Learning Morse code is like learning any language. A good starting point is to view or print a chart of the numbers and letters. The numbers are logical and easy to grasp, so if you find the alphabet intimidating, start with them. The gap between dots and dashes within a character is one dot (one unit) long. The gap between letters is three units long. The gap between words is seven units long. Listen to the code to get a feel for how it sounds. Start by following along with the alphabet A to Z slowly. Practice sending and receiving messages. Now, listen to messages at a realistic speed. A fun way to do this is to write your own messages and listen to them. You can even download the sound files to send to friends. Get a friend to send you messages. Otherwise, test yourself using practice files. Check your translation using an online Morse code translator. As you become more proficient with Morse code, you should learn the code for punctuation and special characters. As with any language, you have to practice! Most experts recommend practicing at least ten minutes a day. Are you having trouble learning the code? Some people memorize the code from beginning to end, but it's often easier to learn the letters by remembering their properties. Some letters are the reverse of each other. A is the reverse of N, for example. The letters T and E each have codes that are one symbol long. The letters A, I, M, and N consist of 2 symbol codes. The letters D, G, K, O, R, S, U, W consist of 3 symbol codes. The letters B, C, F, H, J, L, P, Q, V, X, Y, Z consist of codes that have four characters. If you find you simply can't master the entire code, you should still learn one important phrase in Morse code: SOS. Three dots, three dashes, and three dots has been a worldwide standard distress call since 1906. The "save our souls" signal may be tapped out or signaled with lights during an emergency. Fun Fact: The name of the company hosting these instructions, Dotdash, gets its name from the Morse code symbol for the letter "A." This is a nod to Dotdash's predecessor, About.com. Morse code consists of a series of long and short symbols that are code for letters and numbers. The code may be written down or may consist of sounds or flashes of light. The most common form of Morse code today is International Morse code. However, American (Railroad) Morse code is still in use.